This season, neon colors have been a huge trend. We’ve all seen pops of neon from clothing to jewelry and shoes. 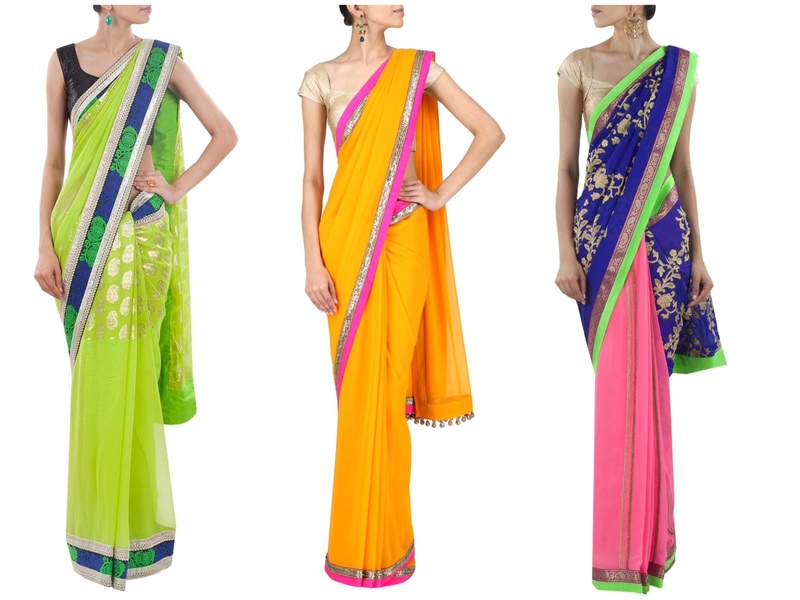 The Indian sari and many other traditional clothing have also seen pops of neon. And I absolutely love it because it gives the sari a whole new definition to it. 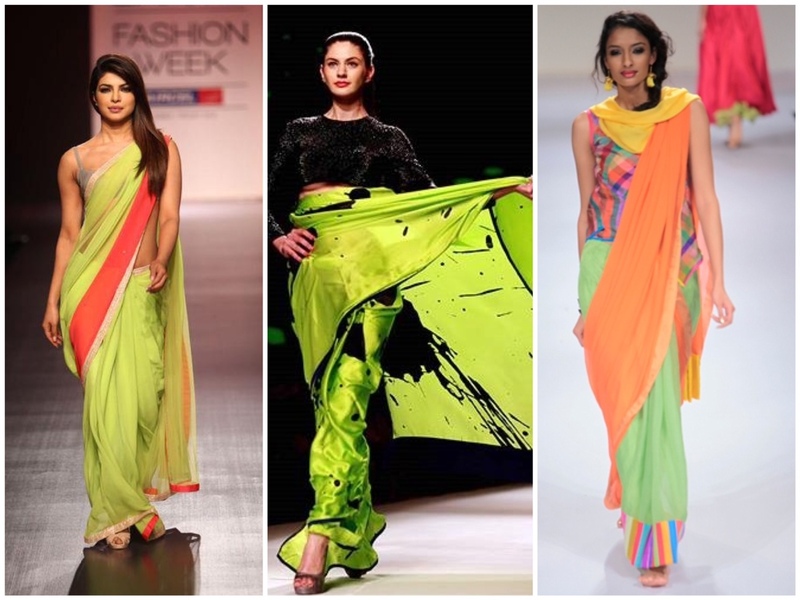 We’ve seen India’s biggest fashion designers loving it as well, from Masaba Gupta to Manish Malhotra and many others! It surely has been a season of colors and prints!